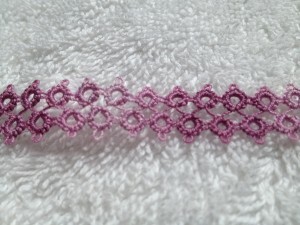 Dusty Rose is now listed in the shop in sizes 20 and 10. This is a blended color that I won’t be able to repeat exactly. I tatted up this sample last night and still have a shuttle full of the size 20 to play around with. Looking froward to matching it up with a new green combination I have. Running out the door to work now so that’s all I have time for this morning. Hope everyone has a lovely Thursday! 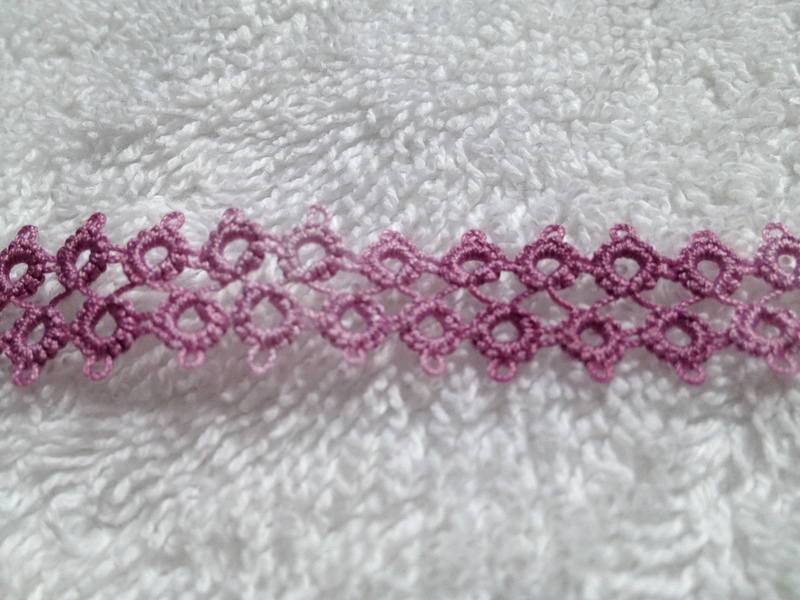 Here’s a sneak peak at “Dusty Rose.” I did a new batch of Regency and loved the color that was created in middle between the green and the deep pink so much that I decided to do a small batch of just that color. This is what I’m going to call a “blended” color. It’s a mix of multiple dyes that I’ll never be able to repeat in just the same way. I just did a small batch in sizes 20 and 10 to play around with what I had. These dusty, muted colors are my favorites. I did a couple small sample skeins that are sitting next to me here just waiting to get wound onto a shuttle and experimented with. 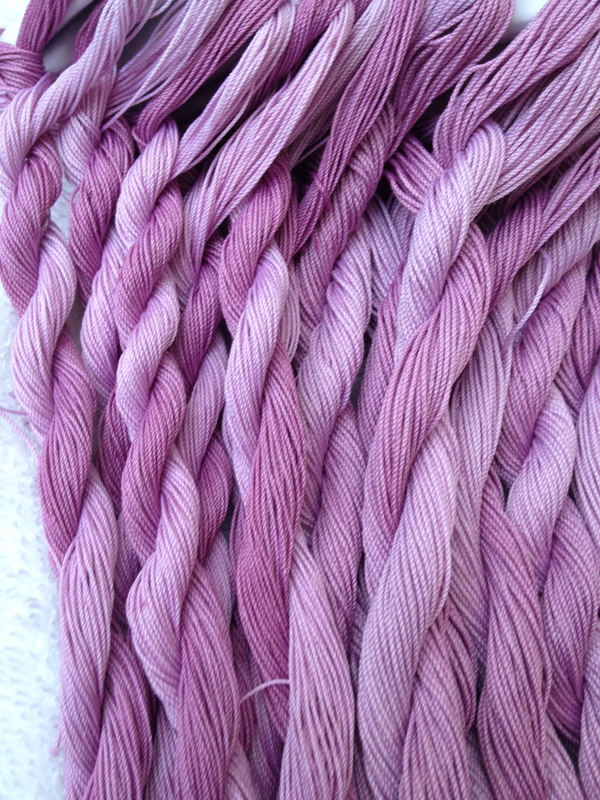 This is the first time I’ve dyed size 20 with a 6-foot repeat (Yup. The skeins are 3 feet long.) I’m really excited to see how this super gradual color change tats with a single color variegate like this. Curious to compare it to the size 10 as well which has always been a 6-foot repeat. I also loved the way this new batch of the colorway Regency looked soaking in the fixer bath. All shiny and sparkly and new. Regency was a color combination suggested by Leesa at the last Shuttlebirds workshop. Thanks Leesa! It’s a great pairing that I really like. 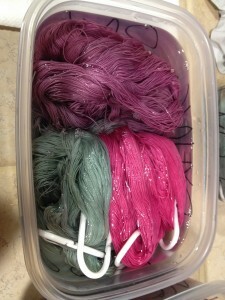 I’m working my way through all my winding of skeins and getting geared up for more thread dyeing. Happily taking color suggestions. Winding, winding and more winding. 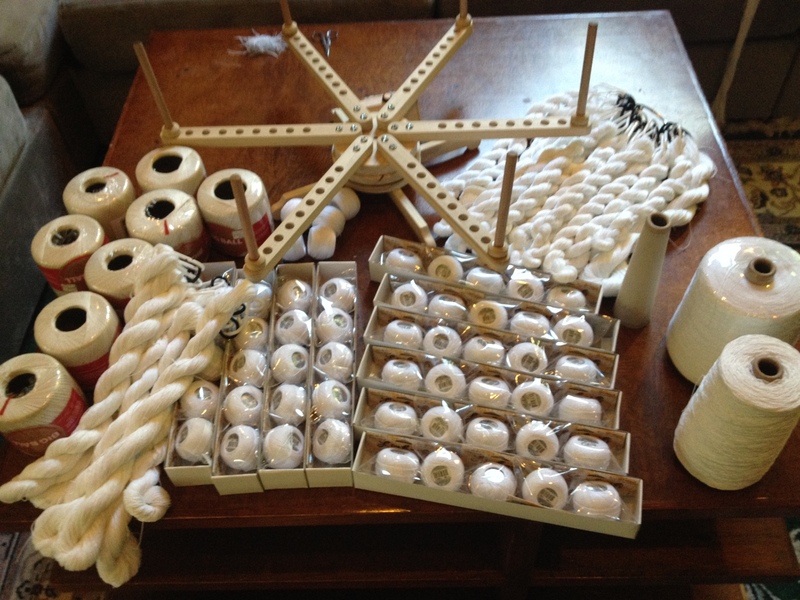 Got my order of 50 balls of size 80 thread and cones in sizes 10, 20 and 40. My next few weeks are going to be spent winding and winding thread. So far I’ve finished the size 20, a chunk of the size 10 and about a third of the size 80. The swift is cruising along and spinning at full speed, stopping only to allow me to cut out the knots whenever they come up. The threads on the left in this picture are some size 30 Coats and Clark that I’m also going to get wound up and ready to dye. Expect some new colors next month!